Do you know how to pair various sensor capabilities with the appropriate application? Learn how to optimize your sensing capabilities by understanding more about how beam angles, beam patterns, and frequency relate to different environments. 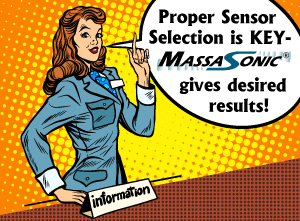 Ultrasonic beam patterns can come in different sizes and shapes – knowing what works where and why, gives you an unsurpassed advantage in sensor selection!